We know that the term “damp” strikes fear into most homeowners. Left untreated, a small, easily fixed problem can become much larges and considerably more expensive to repair. The presence of damp is usually signalled by obvious visual clues such as discolouration of surfaces, mould, peeling paper, or crystallised salts on plaster. Surfaces may be damp to the touch and the smell of a damp room is always obvious on entry. There are 3 main types of damp: condensation, penetrating damp and rising damp. Mould in bathrooms and kitchens (and sometimes in other rooms) is often result of condensation. If there is a lot of moisture in the air, droplets will form on cold windows, cold water pipes and cold external walls. We can prevent mould by improving the ventilation in the room and removing the mould stains with a fungicide or bleach solution. – Fitting a polypropylene membrane. 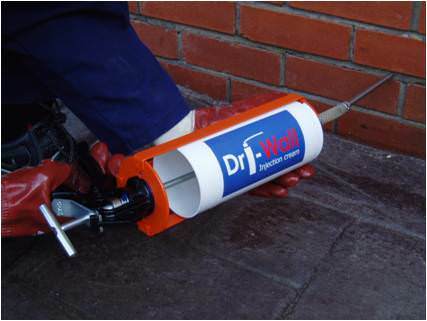 Rising damp enters the house from the ground and is generally caused by the damp-proof course or damp-proof membrane falling. If the floor has been damaged by rising damp, a new one will have to be fitted in which will include a damp-proof membrane too.